Each believer is an interconnected cell in the Mystical Body of Christ. We are a band of brothers and sisters, bound together in hope and love, in a confraternal exchange of supernatural charity. Even now, the saints of Church Militant on earth, are surrounded by “so great a cloud of witnesses” – Church Penitent (or Church Suffering) in purgatory and Church Triumphant in heaven. The Communion of Saints live in a symbiotic relationship: the saints in heaven and purgatory interceding for those on the earth, while the believers on the earth ask for their heavenly intercession. And, in this month of November, dedicated to the souls in purgatory, we recall our special role in this symbiotic relationship while still alive: to pray, sacrifice and intercede for the dearly departed souls in purgatory. “Grace does not cancel out justice. It does not make wrong into right. It is not a sponge which wipes everything away, so that whatever someone has done on earth ends up being of equal value. . . . Evildoers, in the end, do not sit at table at the eternal banquet beside their victims without distinction, as though nothing had happened.” (Spe Salvi, 44) Even after Confession, we must still make penance. We are called to be intercessors, for both the living and the dead. We can offer up our prayers, sacrifices and sufferings on behalf of the poor souls in purgatory, for they can no longer merit for themselves. But, God has deigned through the Communion of the Saints that we can make up for others what is lacking in the sufferings of Christ. For, we are “God’s fellow workers” (1 Cor. 3:9), contributing to the salvation of souls. We can do this through our prayers, such as praying the rosary for those in purgatory. We can offer penances, and sacrifices. We can give alms, and do acts of charity on behalf of the deceased person. Most importantly, we can offer the sacrifice of the Mass, and indulgences granted by the Church, for souls in purgatory. You can contact your Church and have a mass offered for your beloved deceased. Another beautiful gift is the tradition going back to Pope Gregory the Great of offering “Gregorian Masses” for deceased persons on thirty consecutive days. These are generally not done now in parishes, but in monasteries, seminaries, and other religious institutions. The efficaciousness of intercession for those in purgatory has received mystical confirmation too. One such mystic was St. Faustina. She wrote in her Divine Mercy diary about a soul, a recently deceased nun, who visited her from purgatory requesting her prayers. Upon first visiting her, the sister was in “terrible condition,” but after some undisclosed amount of time of praying for her, the nun eventually returned and “her face was radiant, her eyes beaming with joy.” She would soon be released from purgatory and conveyed to her that many souls had “profited from my prayers.” Similarly, in the Divine Mercy Novena, dictated to St. Faustina by Jesus, He asks us to offer the eighth day for the souls in purgatory. 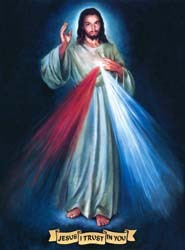 He told St. Faustina, “It is in your power to bring them relief. Draw all the indulgences from the treasury of My Church and offer them on their behalf. Oh, if you only knew the torments they suffer, you would continually offer for them the alms of the spirit and pay off their debt to My justice.” (Diary, 1226) Memorializing a person is nice, but prayer for the deceased may be what they truly need. Thus, it is within our power as members of the Communion of Saints to assist the poor souls in purgatory in the process of their purification and sanctification. Our prayers and sacrifices can help pay off their debts. In turn, in gratefulness for the merit we win for them, they will surely pray and intercede for us, until, at last, in heaven we will meet all those who we have helped, undoubtedly to our surprise. Also, lest we put our earthly time limits upon God, we should remember to pray even for those who have died long ago. God, who exists outside of time in eternity, receives all of our prayers and sacrifices in the eternal present, and can merit a soul whether long since dead or in purgatory. So, out of love for our family and friends, let us do our part in supernatural charity for the souls in purgatory, who may be most in need of our help. This entry was posted in purgatory, The communion of saints and tagged atonement, Church Militant, communion of saints, deceased, Divine Mercy Novena, faithfully departed, intercession, Mass, November, offer up, purgation, purgatory, purifying fire, Spe Salvi, St.Faustina on November 11, 2017 by Brian. A number of years ago I approached the confessional booth in the crypt church at the Basilica of the National Shrine of the Immaculate Conception in Washington, D.C. It was there that something somewhat miraculous happened, or at least that is how it struck me. I was a regular visitor at the crypt church for Confession and to attend Mass. On this particular day, however, I was also there to pray for my friend. At the time, a close childhood friend of mine had recently and unexpectedly passed away. He had become an avid mountain climber, and had gone on an adventure to climb one of the tallest mountains in the world in Pakistan. Then, one fateful day I received a phone call that he had gone missing after an avalanche. Soon after, our worst fears were confirmed. Obviously shocked and saddened I turned towards prayer and the Church. After praying before the Blessed Sacrament, I went to Confession. Once I had confessed my sins, I spoke to the priest about concerns for my friend. I never once mentioned to him who he was or what had happened. I told him only that he had died outside the Church, and I asked if I should pray for him? His answer amazed me. In part, he said, “sometimes I will pick up the paper and read, for example, about people who died while mountain climbing in Pakistan, and yes, I would pray for them.” I took this as a miraculous intervention of Christ in the sacrament, and as a direct response regarding my friend. The unknown priest, I am sure, had no idea of the prophetic words he had just spoken to me. Yet, his words resonated loudly in my soul. The priest’s words that day had a number of effects on me. First and foremost, it powerfully reconfirmed the efficaciousness of the sacrament. Christ is truly present and truly forgives. It also affirmed to me that we are called to be intercessors, for our family and our friends, and in fact, for all those entrusted to us. This is our privilege and important responsibility as Christians. Lastly, we should not judge, but rather, entrust everyone by prayer and sacrifice to the divine mercy of God. Even today, years later, I pray for my friend’s eternal rest. This entry was posted in Confession and tagged confession, divine mercy, forgiveness, intercession, miraculous, sacrament on January 25, 2017 by Brian.